For this Louisville Colorado real estate market update we are diving into a bit of history to see what makes Louisville the great place it is to live today. Like many towns in Colorado, Louisville began as a mining town in the late 1800s. The first mine in the Northern Coalfield, the Welch Mine, was started in what is now Louisville in 1877, and over the years the Northern Coalfield proved highly productive, growing the wealth of miners and townsfolk alike. Eventually there were 30 different mines within Louisville’s boundaries—which proved a good thing for Louisville, which did not become a “company town” (and later a ghost town) like others in Colorado, such as Gilman. Of course, looking at the Louisville Colorado real estate market today, you wouldn’t imagine its rough-and-tumble mining history. The 2010 census shows that these eight square miles are home to about 18,000 people, living in 7,216 households. The houses they live in have a current average price of $514,063, with a median sold price of $445,000. There are a number of reasons why Louisville Colorado is such an excellent place to live today, and many of them are aptly recorded by Money Magazine, which has twice ranked Louisville as the best place to live in the US, and ranked it #2 in 2013. With awesome schools (a great indicator is that over 94% of the town’s students attend public schools), a safe community, and an active, vibrant lifestyle, Louisville residents enjoy 1,800 acres of open space and the many activities available in the amazing Rocky Mountains less than an hour away. Job growth in Louisville from 2010-2012 was 6.35%, and the median family income last year was $104,321. Their Colorado Tech Center has a vacancy rate of under 10%, and they are constructing two more buildings. Columbine Plastics, a custom injection molding firm from Boulder, recently announced it is moving its manufacturing facility into the Center. Things are hopping in the Louisville area after work as well, with almost 1,900 restaurants to choose from in a 15-mile radius, as well as 23 movie theaters and just under 200 bars (including the oldest operating tavern in Colorado). Weekends bring abundant Colorado sunshine, over 100 golf courses in the area, and trendy shops to visit in historic downtown. While Louisville has grown beyond its mining history, there are clearly still abundant riches here, in the form of a great quality of life. If you are considering relocating to Louisville Colorado, purchasing a home in Louisville, or renting in Louisville, give Housing Helpers a call. 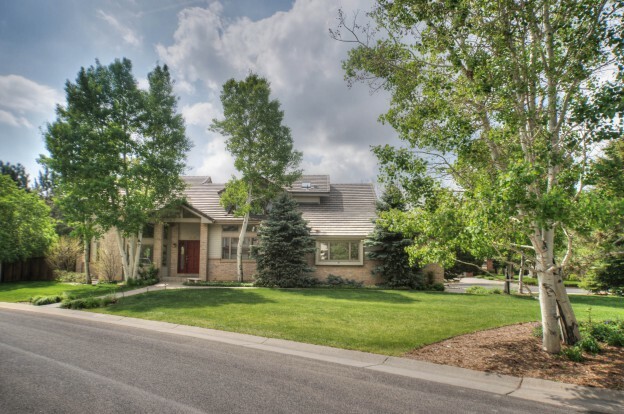 We can help you explore all that the Louisville Colorado real estate market has to offer. This entry was posted in Louisville and tagged Homes For Sale Louisville Colorado, Louisville Colorado Real Estate Agents, Louisville Colorado Real Estate Market, Louisville Colorado Relocation on August 20, 2014 by Stephanie Iannone.